in Los Cabos, Baja California Sur, Mexico! 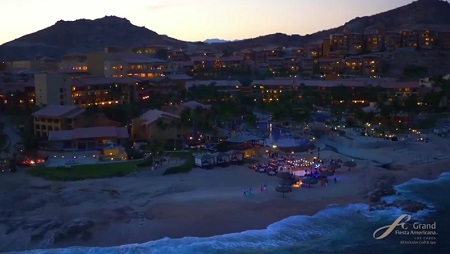 For your visit to this seductive and enchanting destination, choose the world-class Grand Fiesta Americana Los Cabos All Inclusive Golf & Spa, where your visit will be defined by exclusivity, luxury and distinction. The exceptional hotel helps you to enjoy your vacation in Grand Style. You'll be amazed by the subtle details and the diversity of the flavors, aromas and colors that emerge throughout your stay. Every day is memorable and different. 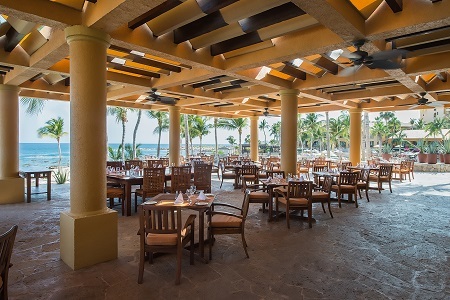 And there's no better way to enjoy it than with our Grand All Inclusive concept, where it's indulging just to be here. 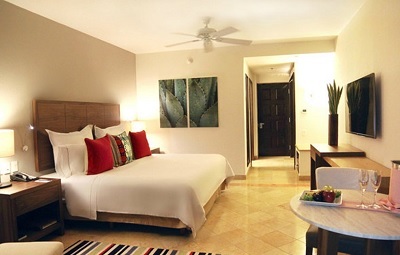 The Fiesta Americana Grand Los Cabos offers a variety of spacious luxury rooms and suites. 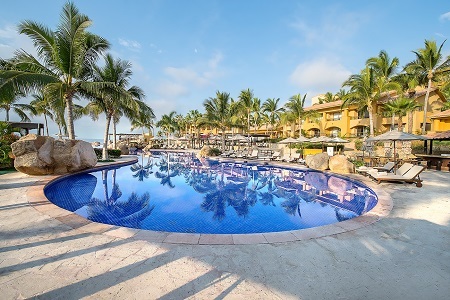 All of them are designed to delight your senses, help you unwind and experience the unparalleled comfort at one of the best all-inclusive resorts in Cabo San Lucas. Every room has an ocean terrace with breathtaking views of the Sea of Cortez. Offer is based on a Double Occupancy in a Deluxe Room King - Pool or Garden View - One King bed. Located in the resort’s main building,these rooms have a private balcony with views of the pools and gardens. The rooms have been renovated and redesigned, offering a Mexican- Contemporary style surrounded by authentic regional materials and a grey scale palette in the walls, darker wood furnishing, marble floors, smart TV55”, minibar, service table and chairs, lounge ottoman, ceiling fan, coffeemaker, original artwork inspired by Baja, rain shower and tub with waterfall spout..
Taxes and Service Charges are included with this offer.